In the series of slots dedicated to rock music, Motorhead has got a thumbs-up from the players. 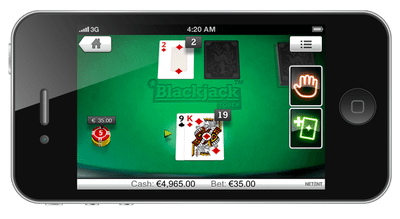 This online slot belongs to NetEnt Rocks trilogy. The players are really going gaga over this slot game. Especially those who have always been a fan of Motorhead band are finding the game way more attractive and interesting. The rock format is the most alluring things about the slot. The theme is magnetizing even for the people who do not possess a great inclination towards the rock genre of music. 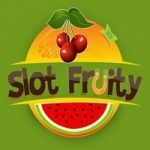 The developer of Motorhead game slot, as already mentioned is NetEnt. This gaming giant holds many successful slot games in its kitty. 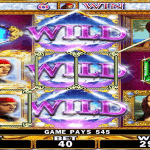 Though the developer received flake for the previous slot of the trilogy but, it emerged as a winner of this slot game. 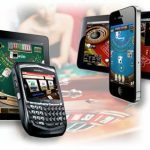 The developer worked on every single thing that caused the downfall of the previous release and overcame all the faults resulting in the development of an awesome slot game. The format of this slot game is also very different from not only the previous slots in the series but, from all the games that NetEnt has ever developed. The theme of the game is fantabulous. It is very distinctive from all the previous works by NetEnt. The video entrance is mind-blowing. The rock stage, the sound, the flashlight; all together give a vibe of a rock concert. The animations are fabulous. 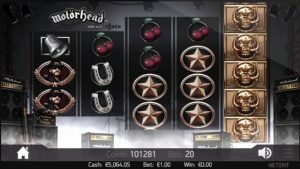 The symbols of Motorhead slot are stars, bells, horseshoes, clover, and sevens. The slot game offers big payouts. The amazing features give this slot game an ace over the other slot games. Going into the details about the features, the scatters and the wilds give ample of chances to a player to make it big in the slot game. The wild holds the credit to make a winning combination by replacing the other symbols on the reels. The only limitation is that the wild could not replace the scatter. The scatter, on the other hand, is also one of the most celebrated symbols of this slot game as it also ensures massive wins and also keeps the player engaged and engrossed. If a scatter arrives on reels number 3, 4 and reel 5, the player is awarded ten free spins. Each free spin is loaded with big rewards. The bonus features of this slot game are also the attention grabber. The mystery reel feature is amazing. In the base as well as the free spin game, the reels spin in flames and have a mystery icon. When the reels stop, all the reels become similar, giving massive payout. Another random bonus feature of Motorhead slot is the bomber feature. This occurs randomly in the slot game. When it occurs, the player hears the roar of a bike engine and a siren. The lights dim giving a feeling that something amazing is just to happen. This feature increases the chance of winning by leaps and bounds. Motorhead is amazing, enthralling, entertaining, engaging and engrossing. 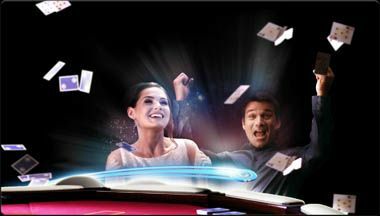 It offers ample of fun as well as decent payouts.